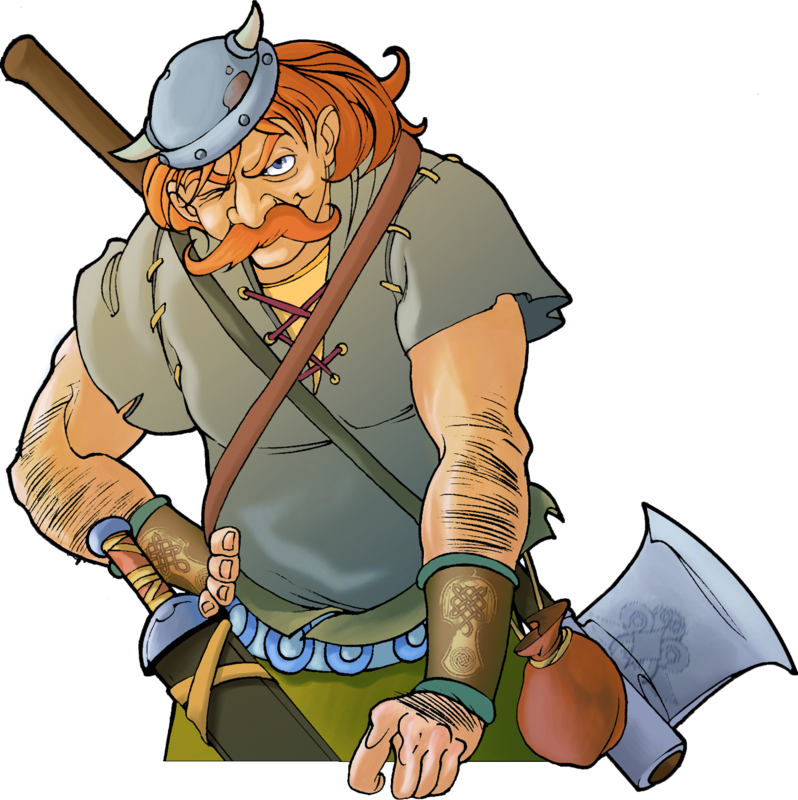 This bot will perform travian-task for you! Just set it up, click start and you are good to go! Navigation between functions is simple, responsive and quick. 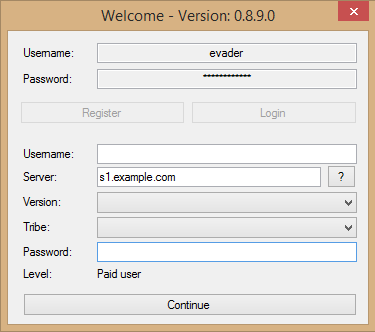 The application consists of tabbed interface, which is easy to use and is lag-free. Just login with your information, enter basic details and you are done! All functions in bot are very easy to understand. You can set-up everything in few seconds. Resources and buildings are also displayed with pictures, which makes everything even easier. PrivateTB can be run in background (minimized in taskbar). While minimized, it doesn't use any more resources than while opened. Also the performance is completely unchanged. You can do most of tasks in this bot. It supports upgrading city center, resource fields, farming and training troops. 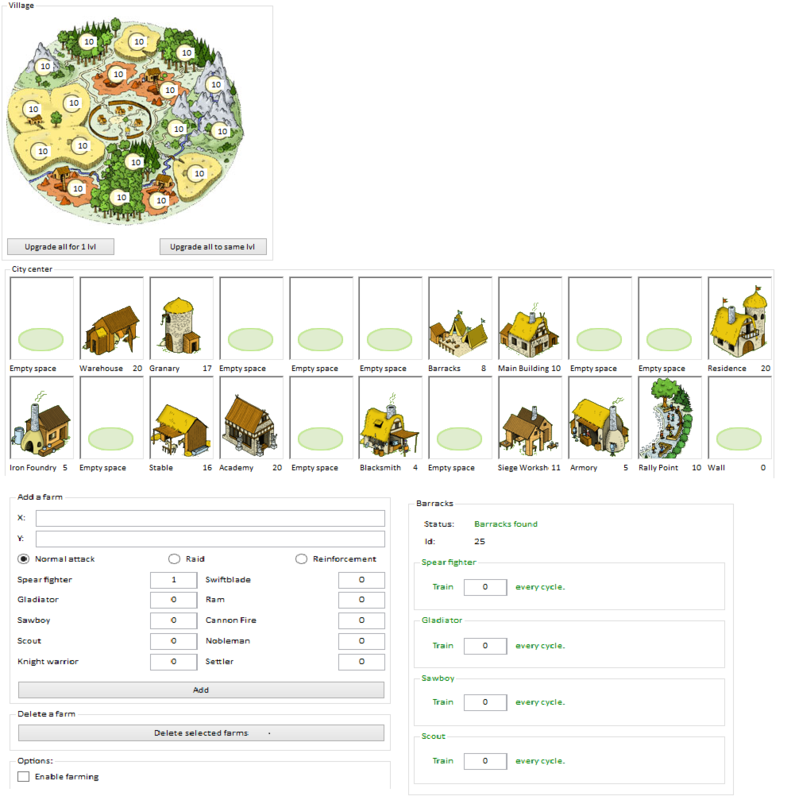 The great thing about everything is, that bot also works on multivillage! Unique way to play travian private servers. When you start the bot, everything from there is done automatic. You can enjoy the show! Bot uses very little resources. You won't even notice, that it's running in the background. 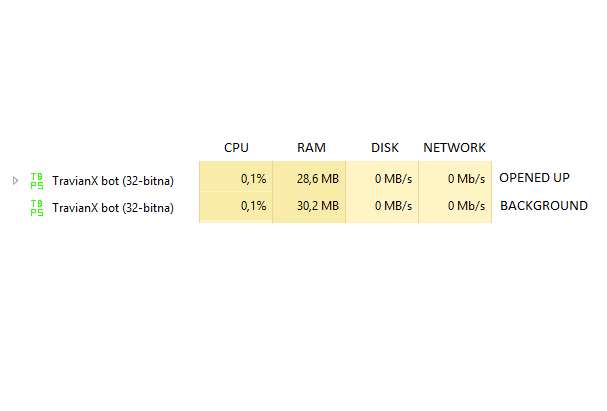 Averagely it only uses 30MB of ram either maximized or minimized. Bot logs all actions in log window. If you want to check what's bot doing, you can check it there. Support resources upgrading and city center upgrading. Farming works on most travian private servers with some exceptions (heavily modified servers). You can set-up farmlist. Training is currently supported for basic troops: Gauls, Teutons, Romans and one dboor only: Nomads. Start using bot with 7 days trial of plus version. After that, you can continue using free version as long as you like. 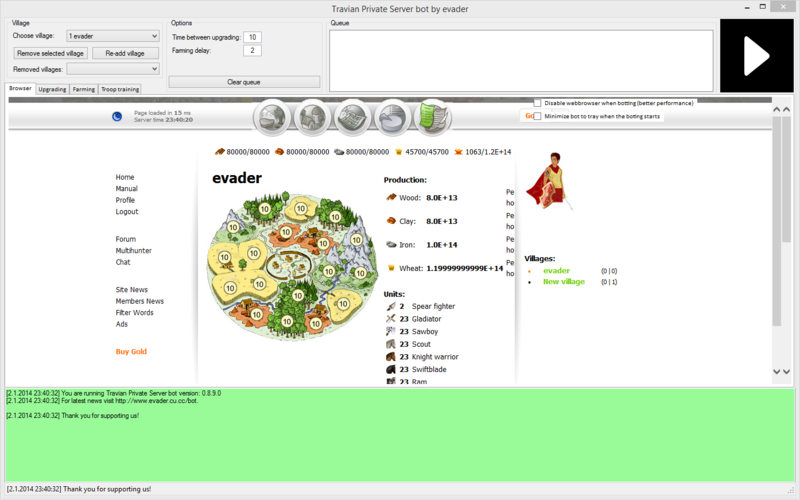 PrivateTB is a travian private server bot. The developement begun in 4/2012. Later it was paused until the beginning of 2013. Last year was very successful. Bot has received many updates and many new features. This year we decided to go even further. We bought a new domain and did a makeover of webpage. Hope you like it! Travian Bot for Private servers updated to 0.9.2.0! Building update! Travian Bot for Private servers updated to 0.8.4.0! Travian Bot for Private servers updated to 0.7.0.0! City upgrading!